Sherry FitzGerald is offering for sale this three bedroom cottage with farm buildings situated on approximately 9.3 acres (3.67Ha ) in Oranbeg, Oranmore. The property is in a popular location close to Oranmore village along the R446 Old Dublin Road. Size is 84sq m/900sq ft approximately. The dwelling contains three bedrooms, living room, kitchen, bathroom, and large utility/back kitchen. The property requires modernisation but offers excellent potential and comes with a number of sheds and farm buildings. The BER is G on BER cert no 107706012, with an energy performance indicator of 544.53 kWh/sq m/yr. The land is very good quality grazing land, divided into separate fields with stone wall boundaries. There is good road frontage with the property and extra separate gated access to the land from the main road. The property is located 2km from the centre of Oranmore and the M6 Galway/Dublin motorway is just 4km away. The property, although requiring modernisation, offers excellent potential with a holding of good quality land in a great location. 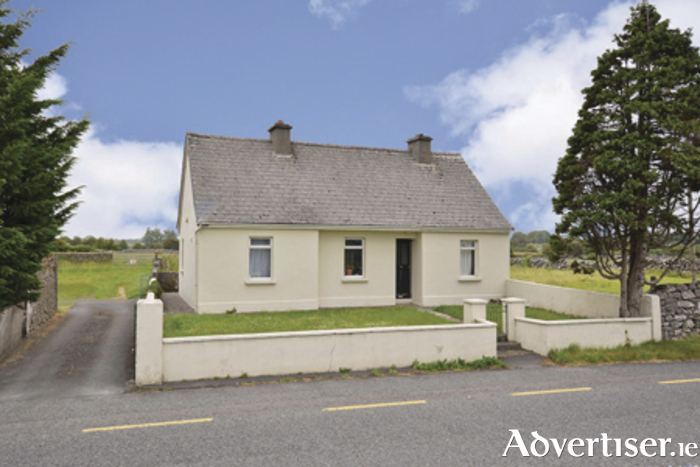 Asking price is €265,000 and a viewing can be arranged by appointment. INDEPENDENT COUNCILLOR NOEL LARKIN - YOUR VOICE! Page generated in 0.1069 seconds.